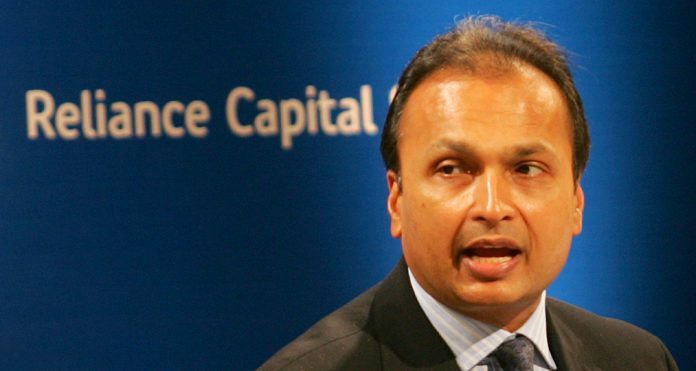 Anil Ambani’s Reliance Group filed two defamation suits over the Rafale deal in the last week, against journalist Seema Mustafa & NDTV. New Delhi: Anil Ambani’s Reliance Group has been in the news for all the wrong reasons since the Rafale deal controversy started making headlines, and the group seems to be trying to fight it in the only way it knows — file defamation suits that seek damages in the thousands of crores. The latest, a Rs 7,000 crore suit against veteran journalist Seema Mustafa, the founder-editor of The Citizen, came Tuesday, triggered by the news portal’s coverage of the Indian government’s Rafale deal with France. The Ambani venture Reliance Defence has been chosen as the offsets partner by Rafale manufacturer Dassault Aviation as part of its deal to sell 36 fighter jets to India. However, critics have raised a stink over the deal, alleging that the firm’s selection over state-owned Hindustan Aeronautics Limited (HAL) reeks of misconduct. As a result, the firm has filed a series of defamation suits, including against Congress leaders, to stem the “unfavourable” remarks made about the company in the context of the deal. Just a week ago, Reliance Group sued NDTV for Rs 10,000 crore over the same issue. The group is battling a debt of Rs 40,000 crore on account of its beleaguered telecom venture RCom. But defamation suits may not help it as in India they almost never yield the damages sought. Here’s a look at the defamation suits filed by Anil Ambani’s Reliance Group. On 25 August, the group filed a Rs 5,000 crore defamation suit against Congress-owned newspaper National Herald over a report titled “Anil Ambani floated Reliance Defence 10 days before Modi announced Rafale deal”. Terming the report “libelous and derogatory”, the suit claimed that it “misleads the general public to believe that undue business favours are being extended to them by the government of the day”. It was filed in the Ahmedabad city civil court, Gujarat, against editor Zafar Agha and reporter Vishwadeepak. The same day, in the same court and again over the Rafale deal, the company filed another defamation case against Gujarat Congress leader Shaktisinh Gohil, seeking Rs 5,000 crore in damages. A week before that, Ambani had sent legal notices to various Congress leaders, asking them to ‘cease and desist’ from making “false allegations” about the firm in connection with the Rafale deal. The defendants hit back, saying the notices were evidence of “the nexus between the BJP and the corporate world”, and that they “won’t be scared or silenced”. The group then filed a defamation case against the same Congress members, including Randeep Singh Surjewala, Prithviraj Chavan, Sanjay Nirupam, and Abhishek Manu Singhvi, after they failed to respond to the ‘cease and desist’ notice. In December 2017, the Anil Ambani-led Reliance group filed a Rs 5,000 crore defamation suit against senior Congress leader Abhishek Manu Singhvi in the Gujarat High Court for making “false, defamatory and libellous statements” against the company. The month before, Singhvi, lashing out at finance minister Arun Jaitley, had said: “We all know that top 50 corporates owe Rs. 8.35 lakh crore to banks and out of those, three top Gujarat-based companies — Reliance (Anil Ambani Group), Adani and Essar — owe Rs 3 lakh crore.” He then said that the finance minister, “instead of declaring these liabilities as non-performing assets, was “trying to help the defaulter with further defence contracts like the Rafale deal”. In 2008, at the height over their feud with each other, Anil Ambani had sued brother Mukesh Ambani for a remark the latter had made against him in an interview to The New York Times. We Indians have entered into a very bizarre phase of life ! To cover up and run away from TRUTH and REALITY – seeking refuge and shelter in the courts in the guise of defamation has become a modern fashion and weapon these days ! Very strange, ” alleged defaulters ” and ” alleged offenders- money launderers “in India too yearning for fame are filing hefty defamation suits either to silence voice of truth or covering up their losses in the bargain ! Amazingly, FAME and DEFAME weighed in the scales of PELF against money ! For how long this trend sustains and succeeds, can be anyone’s surmise ? After the Clarification from Dassault’s CEO will the detractors of Modi have the decency to stop the unnecessary tirade against the Rafale deal? I guess not because of the lack of maturity and morality on the part of those indulging in the slander. The slanderers are inherently evil and don’t see the need to apologise.